Houses were covered in polka dots, hundreds of bikes were painted yellow and thousands of people bought official merchandise. Preparations for the world’s biggest cycle race were momentous, and everyone in Yorkshire wanted in on the action. It’s estimated up to 3.5 billion people in 188 different countries tuned in to watch the event, meaning Yorkshire’s Grand Depart was a PR dream for the region. As I discussed in a previous blog post, if a picture paints 1,000 words, then one minute of video is worth 1.8 million. With hours of footage showcasing stunning panoramas of historic sites like York Minster and Harewood House and the green undulating Yorkshire Dales, the weekend of live broadcasts was infinitely more powerful than any advertising slogans could ever be. Although the Tour de France cost the taxpayer around £27 million, research found that total advertising spend from the opening weekend would have exceeded £31m. With this in mind, Le Tour was extremely good value for money in terms of the positive impact it’s expected to have on tourism. The power of moving images is certainly hard to ignore, but it’s also worth noting the power of social media here too. 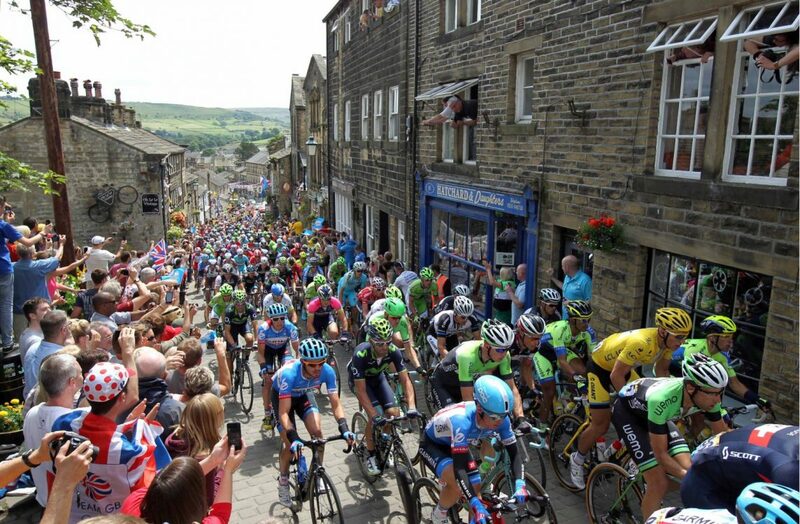 The image of the cyclists winding their way through thousands of fans at Buttertubs Pass went viral after several professional cyclists retweeted it on the evening of Saturday July 5. Countless other images were posted, shared and retweeted over the course of the weekend, most of which showed Yorkshire in an extremely positive light. These digital platforms provided the region with an opportunity to promote itself to the world – completely for free. A few days after Le Tour zoomed through God’s Own Country, the most powerful figure in global advertising, Sir Martin Sorrell, told The Yorkshire Post that the region was viewed as “better, more friendly, beautiful and engaged” as a result of the Grand Depart. The WPP chief executive said that in effect, Yorkshire enjoyed an extended TV advert that showcased the beauty of the landscape and reminded visitors who tend to fly into London to take the train northwards for a visit. Although it seemed like Yorkshire’s time in the limelight was relatively short-lived, the publicity the event created for the region’s tourism industry was unparalleled. Indeed, organisers say they hope the event will generate a boost of £100 million for the region’s economy.